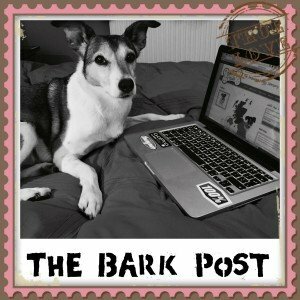 I recently went to the National Pet show at the NEC in Birmingham – if you’ve not been, it’s definitely one for next years calendar. I was in my element, there were not only oodles of doggy related products and gifts, but also real animals that you could coo over – alpacas, giant tortoises, donkeys, to name but a few! 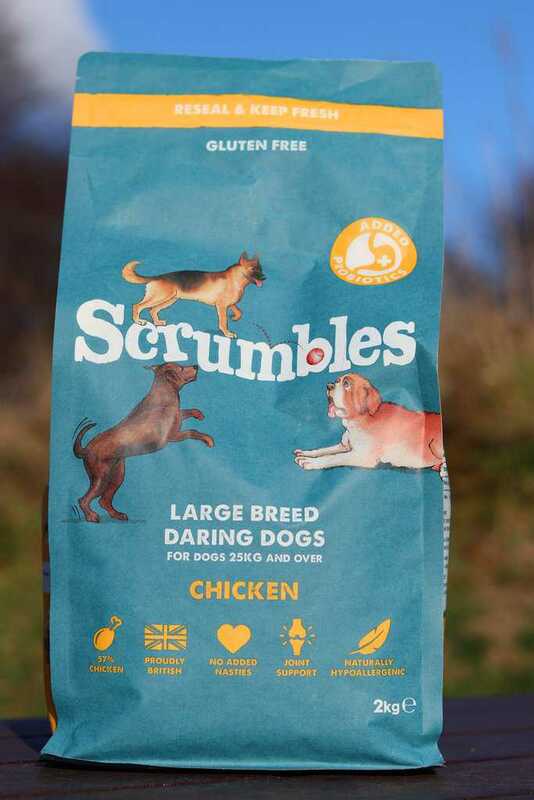 Whilst I was there I stumbled upon a new dog food brand by the name of Scrumbles. Instantly drawn to them by their slightly quirky name and eye catching packaging [I’m a complete sucker for anything that comes nicely packaged!] I was keen to find out more about their new brand of dry dog food. It can be quite a challenge to find the right diet for your dog – there are literally hundreds of brands out there all claiming to provide something slightly different and be the next best thing. I have to be honest, when I find a brand I like and Poppy seems more than satisfied with, I tend to stick with it for a while at least. However, never one to turn down a good meal, Poppy was more than happy to give Scrumbles a try! Inspired by a mischievous duo, Smudge the dog and Boo the cat, Scrumbles is made in the UK with natural ingredients and is tailored to your pet’s needs. 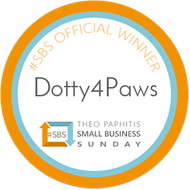 In fact I had the pleasure of meeting little Smudge – such a little cutie, no wonder he is such an inspiration to his pawrents who are the creators of this new brand. 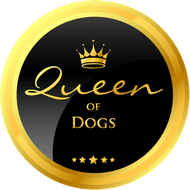 Keen to find a pet food that provided good nutritional value and good value for money, they decided to create their own brand of food that delivered on every level. 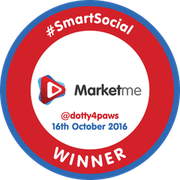 After much research, a year of studying canine and feline nutrition and the help of expert pet nutritionalists, Scrumbles was born. 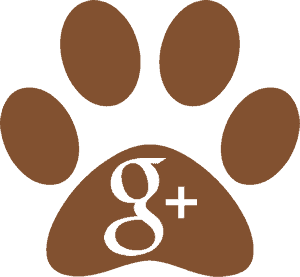 What makes Scrumbles different from other dry foods? 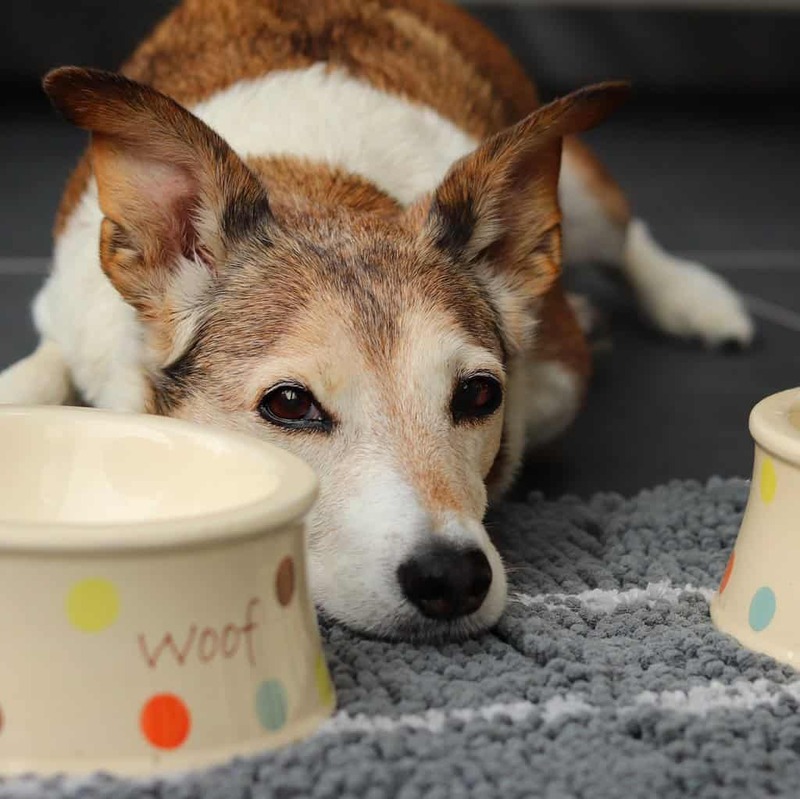 Well, believe it or not, although there is a lot of choice when it comes to what to feed your dog, there are also a lot of unhealthy options out there too! One of the main things that struck me when reading the ingredients in Scrumbles was that I not only recognised the ingredients as being something we’d eat as humans, but I could also pronounce everything, which in my book counts for a lot when it comes to choosing a food fit for Princess Poppy. 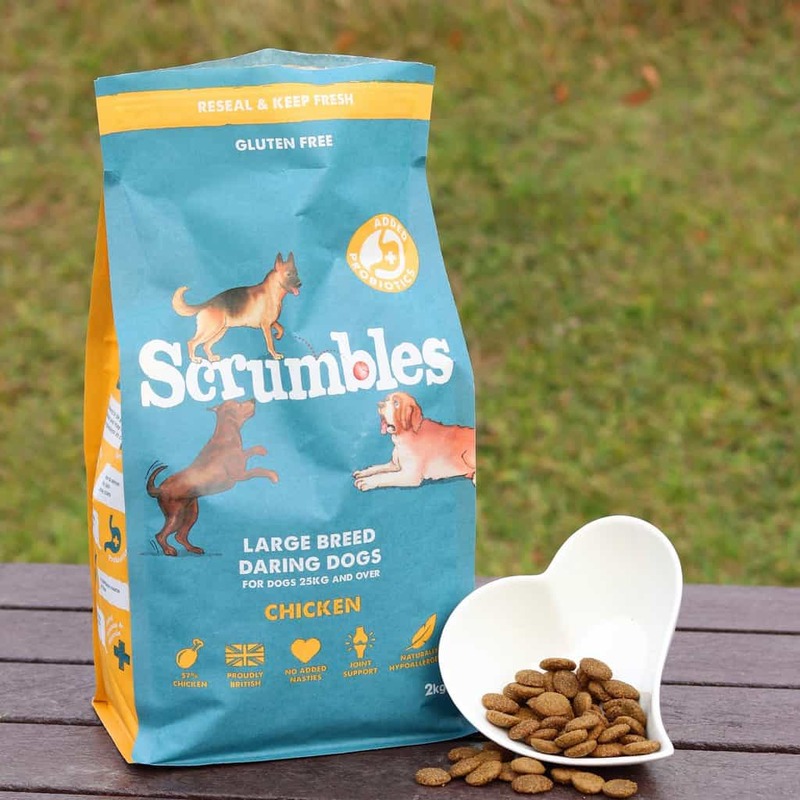 Scrumbles use high quality, wholesome ingredients that are free from any nasties. Hypoallergenic and gluten free it means that their food is gut-friendly and kind on delicate tummies. Which food is right for your dog? Poppy tried the Chicken for Large Breeds, as this food provides extra support for her joints, which after her cruciate injury last year is always something I look for in a food. Scrumbles have a selection of foods to suit dogs of all ages, breeds and size, but if you’re unsure which food would best suit your dog, I would recommend getting in touch with them. Obviously Poppy isn’t over 25 kilograms [crickey, I would have a job lifting her into the Belfast sink for a bath!] but, based on her age and health requirements, this was the food most suited to her needs. 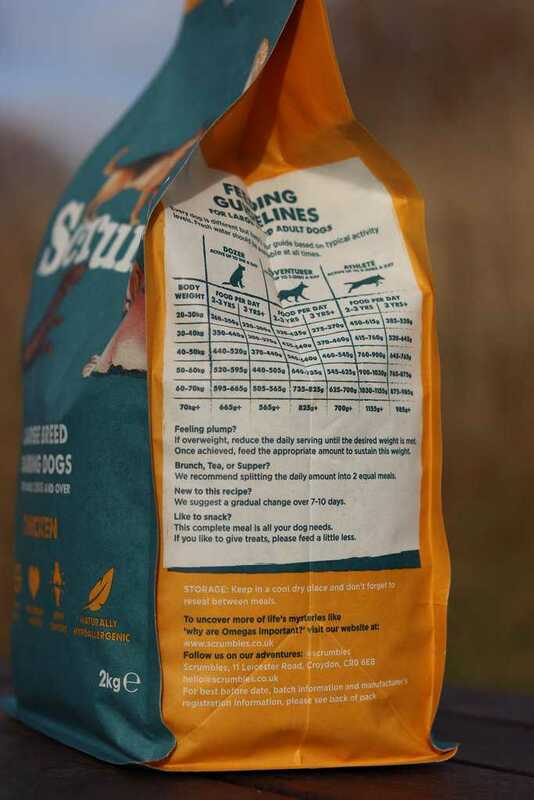 On the side of the bag is a handy feeding guide, which not only takes into account your dog’s weight, but also how active they are, so you know exactly how much you should feed them. 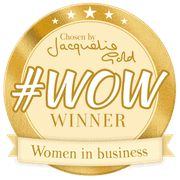 Packaged in a resealable bag, it is also super practical, and at just £11.49 for a 2kg bag it is kind on the purse strings too and a great alternative to brands of a similar price that contain a whole host of shady ingredients. So, what did the chief taster and tester make of Scrumbles? When introducing any new food to your dog’s diet, it’s always advisable to gradually make the changeover by mixing it with their current brand for a while. This should prevent any adverse effects, if you get my drift! 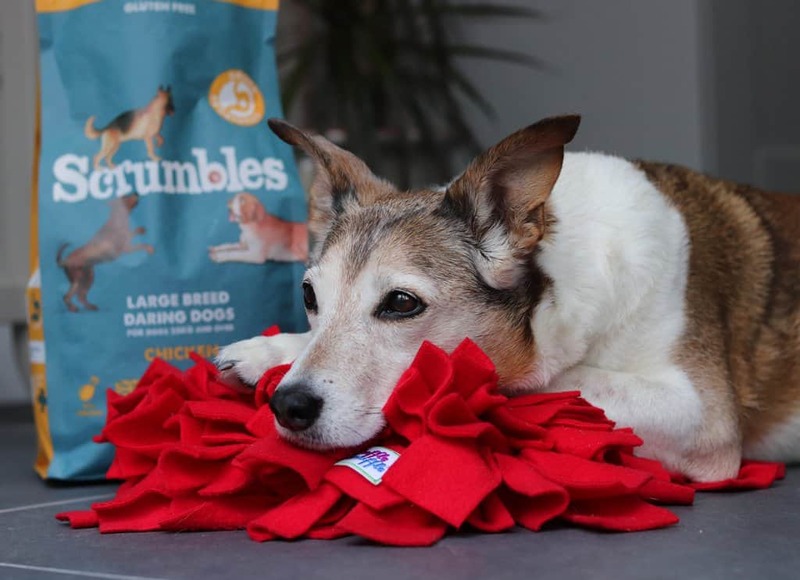 With any dry food, I tend to make mealtimes a fun activity by hiding the kibble in a Snuffle Mat (great for slowing down speedy eaters) or a treat dispenser, which not only slows down the eating process, but is great mental stimulation for dogs with active little brains like Pops! 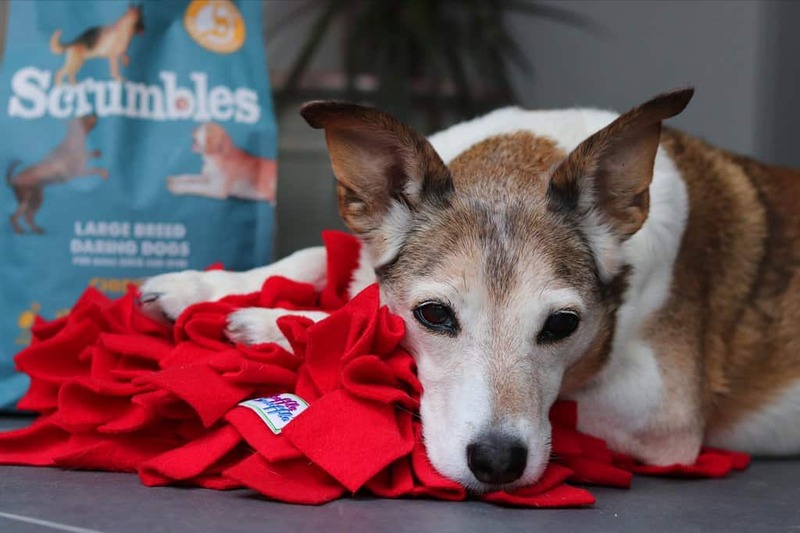 A huge thank you to Scrumbles for letting us try your food, and if you’re thinking of changing your dog’s diet, Scrumbles is certainly a brand I’d recommend – plus their website is so worth a look – fun, dynamic and educational all at the same time.